It’s hard to imagine that anyone would deny the wonderful sensation of lush grass under bare feet. Colorful flowers are a bright treat for our eyes and sweet-smelling blooms emit a lovely fragrance into our lives. It’s easy to appreciate beautiful landscapes – but are you aware that landscapes promote a better quality of life? Yes, well managed green spaces offer substantial benefits. Here’s how. Coolants – Obviously grass is a much cooler material than cement or asphalt making it a nature provided air conditioner for the surrounding area. Lawns are up to 30 degrees cooler than cement and can even be 20 degrees cooler than plain soil. If you add in trees that shade a home temps can lower inside by as much as 40 degrees. Natural “Clean-up” – Grass cleans the environment by capturing dust, particles from smoke and many other pollutants. It also supplies valuable oxygen into the air. Protection of water – Vibrant lawns will soak up unhealthy runoff that could end up in our bodies of water. Cleaner air – Grasses will take in carbon dioxide and then separate it into oxygen and carbon. A small lawn can create enough oxygen supply for four people. Noise reduction – Plant life will significantly minimize noise pollution. They can diminish noise levels up to 30% better than hard surfaces like pavement. While some areas of North Texas can have water saving restrictions in place during droughts, it is vital that landscapes remain sustainable to enhance communities. There are many practices for water reduction that still maintain environmental benefits. Check with a local landscape professional to find ways to incorporate sustainability into your lawn landscape. There is tremendous evidence coming out of environmental research that indicates how essential it is to keep parks, green spaces and tree canopies in the urban environment. They provide significant lifestyle benefits that enhance the quality of life for city dwellers. Trees and parks will decrease noise. The U. S. Forest Service conducted a recent survey that indicates communities with landscaped yards and tree lined streets experience a lower crime rate. Other studies discovered that even if you look through windows to green spaces stress and blood pressure measurements are lower. Research out of the University of Michigan revealed that walking in a landscaped or wooded environment, even in an urban location, can result in improvement to attention and memory. Communities that create neighborhood green spaces report lower levels of stress which translates to reduced health care cost and an improvement in their quality of life. Research indicates that businesses have a higher success rate when they create landscaped areas around their building and bring plant life into their business space. Research concludes that commercial offices can experience around a 7% higher rental rates if they offer a quality landscape environment. Consumers have been shown to spend up to 12% more for services or goods when shopping in a business district surrounded by tree canopies. Shoppers will drive a longer distance and spend more time in a business area that offers a developed canopy of trees and green spaces. Recent research determined that employees who can see nature or plant life from their work space have less health issues and more job satisfaction. It has also been well documented that when people have an interaction with plant life – trees, lush grass, flowers – they experience stress relief, even if they are viewing the environment through a window. Research also shows that kids who are ADHD appear to have more focus after time outdoors while workers are more productive with improved cognitive functioning. Maybe even more significant, science tells us that people believe that a connection with nature or a natural setting makes their lives better and they will make an effort to bring it into their lives. Research from a global garden study was pretty clear: 63 percent of respondents are more likely to pay a higher price for housing if it is situated near green spaces. This percentage is significantly higher than the 34% who indicated they would pay more for good shopping or the 33% who wanted proximity to culture and arts. We may be heading into winter, but now is the time to start thinking about your spring planting. 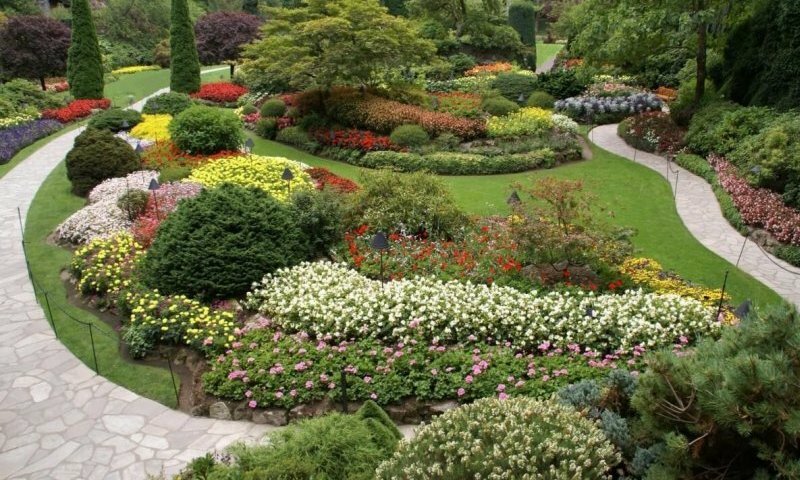 For more information on how landscaping promotes quality of life, talk with a landscape professional. They can help you create a beautiful environment that will benefit your health and your business while improving the environment.